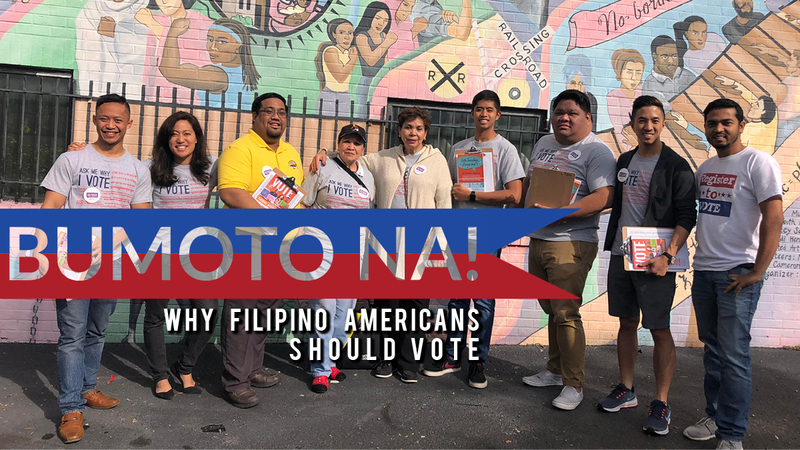 Washington, DC – In the final days leading up to the 2018 midterm elections, the National Federation of Filipino American Associations (NaFFAA) urges all eligible Filipino Americans to vote with their Public Service Announcement (PSA) video, “Bumoto Na! Why Filipino Americans Should Vote.” According to the 2018 Asian American Voter Survey, 92% of eligible Filipino Americans plan to vote in the upcoming election. While this is the highest percentage among all Asian American subgroups, only 50% of eligible Filipino Americans actually participated in the 2016 presidential election. Through the FilAm Vote Program, NaFFAA has been focused on increasing voter registration, voter education, voter protection, and Get Out The Vote (GOTV) efforts throughout the nation. To view the full-length PSA, and for more information on voting, please visit www.naffaa.org.